On 21 November 2018, Revenue Code Amendment Act (No. 47) B.E. 2561 (2018) was gazetted, introducing legislative provisions to codify transfer pricing regulatory regime. non-arm’s length transactions. The Amendment further defines relations where two companies or juristic partnerships would be considered related for transfer pricing purpose. All taxpayers who enter into related party transactions are required to ensure that the transactions or arrangements are entered into on an arm’s length basis. To substantiate their positions, taxpayers are required to be prepare a transfer pricing documentation establishing the arm’s length nature of their related party transactions. Such documentation would be required to be reproduced before the Assessment Officer when requested for during an audit. In addition, the legislation mandates for certain taxpayers who breach the specified revenue threshold (to be specified later through a Ministerial Regulation but would not be less than Baht 200Mn) to prepare a transfer pricing disclosure form and submit the same with the Revenue Department along with their corporate tax return. a penalty not exceeding Baht 200,000. The new regulations will apply for accounting periods starting on or after 1 January 2019. With the law now in place, the Revenue Department is expected to propose secondary legislations to the Cabinet of Thailand, which is expected to cover matters such as comparability analysis, determination of arm’s length range, consideration of condition for special transactions, etc. Additionally, Thailand as a member of Organization for Economic Cooperation and Development (“OECD”) Inclusive Framework on Base Erosion and Profit and Shifting (“BEPS”) has committed to implement the four minimum standards of the BEPS package which includes application of Action Plan 13 which mandates a three-tiered transfer pricing documentation [Country-by-Country Report (“CbCR”), Master File and Local File]. With the transfer pricing law now in place, CbCR and Master File regulations are also expected to be implemented soon. 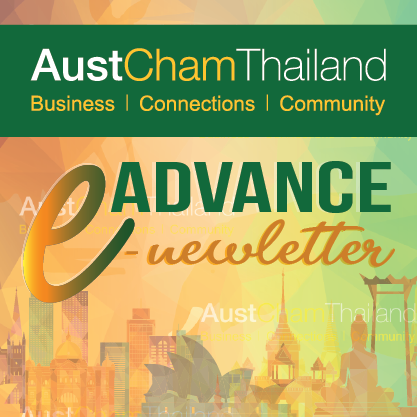 With the introduction of enhanced transfer pricing rules by the Thai government along with the rapid introduction of new transfer pricing regulations at a global level from the OECD, the possibility of a substantial impact on current and future transfer pricing structures for all sizes of business cannot be ruled out. Taxpayers are thus recommended to undertake a thorough analysis of their related party arrangements to identify any potential risk areas and consider remedial measures wherever required. Andrew is a Senior Tax Partner and Co-Managing Partner with BDO Thailand based in Bangkok. He has 40 years of tax consulting experience of which 30 years have been in Asia (Hong Kong, Singapore and Thailand). Andrew has extensive experience in developing tax effective financing arrangements and in advising clients on cross border transactions, transfer pricing, corporate re-organizations and financial restructuring and mergers and acquisitions. Bhrigu is a Manager with BDO Thailand based in Bangkok and has over 6 years of transfer pricing experience across India and Thailand. During his career Bhrigu has worked on multiple transfer pricing projects including business model restructuring, due diligence analysis, BEPS compliances & risk analysis, intra-group financing and Advance Pricing Agreements.